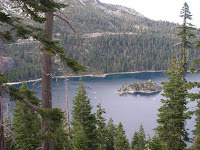 Today, Linda has posted on her blog, Bigfoot Ballyhoo, that Bill Emery and his team, took 4 photos of the Sru Lake (Squaw Lake) Sasquatch, this morning. For those of you not familiar with the Sru Lake Bigfoot. Got to the search tab on the right side of this page to search this blog. Enter "Squaw Lake" for the first posts. Then enter "Sru Lake" for the most recent posts, because the name of the Lake has recently been changed to "Sru." For even more info, do the same searches at Bigfoot Ballyhoo. Read posts from the past couple of weeks on Bigfoot Ballyhoo, and you can see read the updates from Mr. Emery and his team since they've been up there. They have had some close encounters, some very aggressive on the squatch's part. Breaking a window on Bill's trailer, and hitting the party with thrown rocks and tree limbs. There's been a lot of politics involved with the US Forest Service and also in the Bigfoot community regarding this search, and the activity up at Sru. I've been following Mr. Emery's work for some time, and find him to be a very credible man. unfortunately, there are so called "Bigfoot Researchers" out there that want to try and discredit other peoples success. 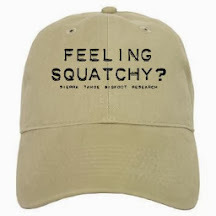 I will clarify that I do not proclaim to be a Bigfoot Researcher..... I am a Bigfoot Hobbyist. My Econ/Finance background gives me no credible training to consider myself otherwise. I wish Bill Emery and his team continued success, and hope they can meet their objective of protecting the grumpy old squatch that has been causing all the mischief up there. Sru Lake is it's home, not ours, and we need to respect it's space. I'm sure it will be a while before the photos are released, and I wholeheartedly agree with Bill's decision to anticipate all ramifications these photos would have, especially to this particular bigfoot itself. I hope when Bill's done, they close off the area. People just need to leave it be. My hat is off to you sir for stepping up and telling the truth about Mr. Emery. You have character. I'm sure already others have started the bashing but you, sir are absolutely correct about this amazing evidence and you have the guts to say so. I would agree with you comment. Emery has done a wonderful job but needs to proceed with extreme caution now with his photos and tracks. We don't want another one being buried under by jealous people. Bill Emery is a honorable guy. I was lucky to meet him in 2005. His ideas about Bigfoot make good sense and he will go far I hope. Many of the older Bigfoot people look at Bill with suspicious eyes and want to dismiss him as a fake. The man is what he is, a true researcher bent on the truth wherever it goes.He has stated he will never take money for anything he does and I believe him.